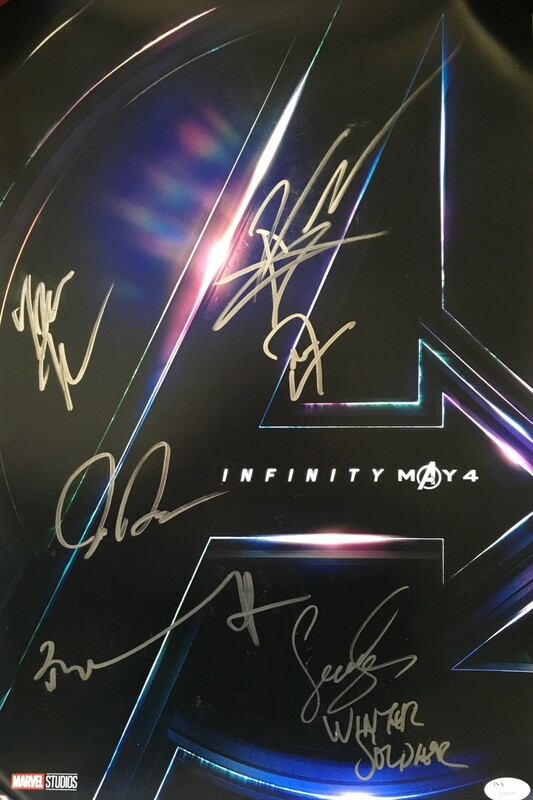 12x18 inch print of the Avengers Infinity War movie poster autographed in thick silver paint by director Joe Russo plus stars Sebastian Stan (inscribed WINTER SOLDIER), Don Cheadle (War Machine), Tom Holland (Spider-Man), Danai Gurira (Okoye), Pom Klementieff (Mantis) and Tessa Thompson (Valkyrie but scenes were cut). 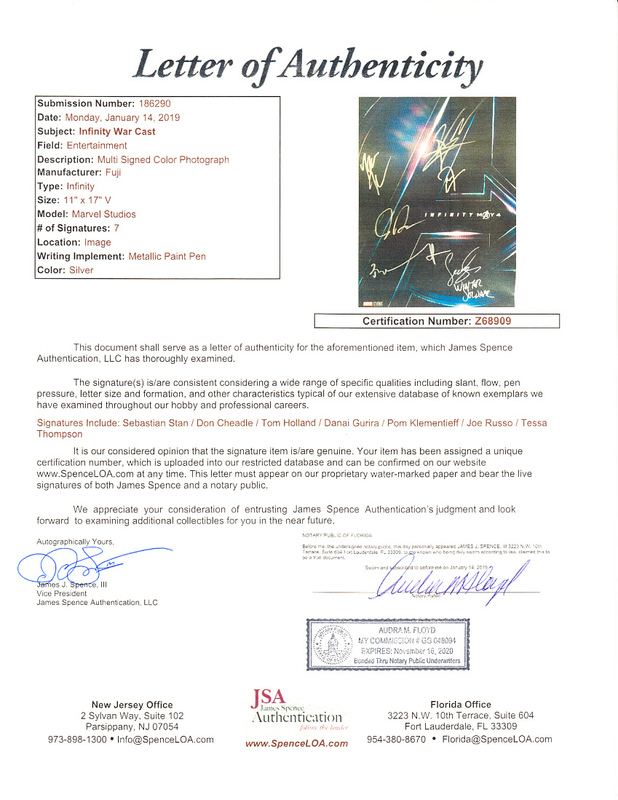 Obtained in person, authenticated by JSA with their numbered sticker and Letter of Authenticity. 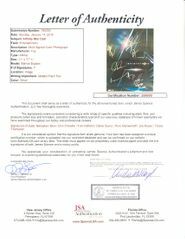 POSTER HAS VERY MINOR SURFACE WEAR FROM HANDLING NOTICEABLE ONLY UPON CLOSE INSPECTION. 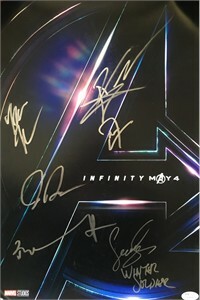 THIS IS OBVIOUSLY A RARE AND UNIQUE ITEM FOR ANY MARVEL MOVIE FAN!